Plus, PH inflation hits 12-month high in May. 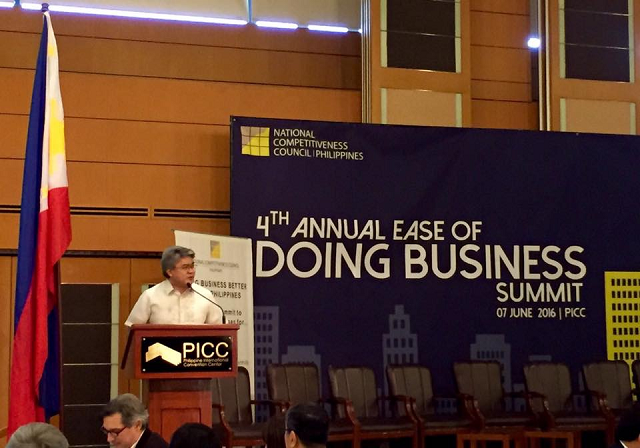 Trade and Industry (DTI) Secretary Adrian Cristobal Jr said hitting the top third percentile of competitive countries in terms of the ease of doing business is a stretch. 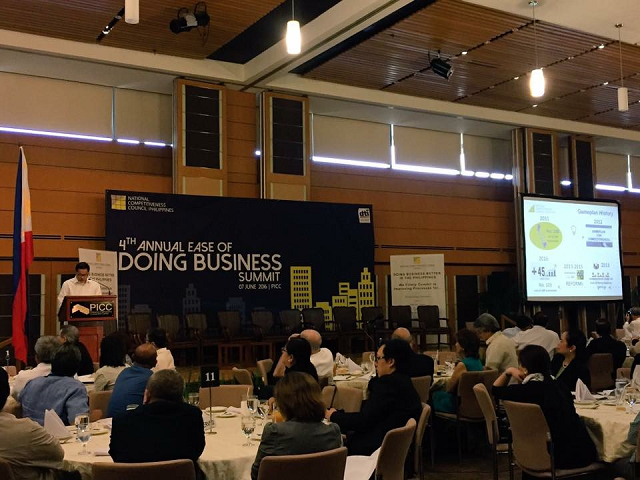 But with the new administration coming in, the government should continue to pursue that aim, Cristobal said at the 4th Annual Ease of Doing Business Summit held Tuesday, June 7. While they cannot open bottles of champagne yet to celebrate, the secretary noted that the national agencies involved in improving the country’s ranking in the World Bank’s Ease of Doing Business report have made big strides in the past five years. The Philippines has posted significant gains in the World Bank’s Ease of Doing Business Report, moving up 45 notches for the past five years. To date, the country was ranked 103rd, down six places from its adjusted 97th position in 2015. The report analyzes the business environment of a country, picking its most populated business city, (for the Philippines, it is Quezon City), and evaluating how small- and medium-scale enterprises fare based on 10 indicators. The World Bank revised the methodology in the 2015 and 2016 reports, which the Philippine government has been contesting. Cristobal, co-chairman of the National Competitiveness Council (NCC) said that for Gameplan 4.0, the government will continue to reduce steps in starting and closing a business, while other agencies are still continuing to reduce steps also in dealing with construction permits; getting electricity; registering a property; getting credit; protecting minority investors; paying taxes; trading across borders; and enforcing contracts. Cristobal noted that the port congestion that severely hit the country in 2014 had significant impact in trading borders—sliding 30 notches—but hopes this would improve as the congestion nightmare has been resolved. The country was also down two notches in starting a business, but NCC hopes this would be reversed as more local government units adopt the same standards as those used by the national agencies. The recent passage of the Customs and Tariff Modernization Act should help boost the country’s ranking in the area of trading across borders. The terminal appointment booking system and the implementation of the Foreign Ships Co-Loading Act, which allows importers and exporters to directly ship their goods to the port of destination, should also help buoy the country’s ranking. NCC Co-chairman for the Private Sector Guillermo Luz, acknowledged the task force’s commitment and teamwork to meet the metrics set by the report. But he also argued again that the World Bank cannot keep on revising the methodology at the expense of a country’s ranking. NCC said in a statement that it is still keeping its ambitious target of landing the 63rd ranking, 40 notches away from the country’s last standing. Meanwhile, inflation picked up in May, the fastest pace in 12 months, as it accelerated to 1.6% from 1.1% in April, the Philippine Statistics Authority (PSA) reported on Tuesday. “The increase in inflation can be attributed to higher demand due to election spending and partly to supply constraints in agriculture because of the residual effects of the weakening El Niño,” said Socioeconomic Planning Secretary Emmanuel Esguerra. Despite such, Bangko Sentral ng Pilipinas (BSP) Governor Amando Tetangco said the May inflation was within the central bank forecast of 1.1% to 1.9% and is still consistent with the assessment that inflation would slowly rise to within the national government target range of 2% to 4% this year. The BSP chief added the current monetary stance of the Philippines is appropriate amid the robust domestic economy as well as the benign inflation environment. Nationally, annual mark-ups were higher in the indices of eight out of the 11 commodity divisions. In addition, the transport index posted a 0.1% annual uptick from a zero growth last month. The index of education retained its last month’s rate of 3.6%, while the index of housing, water, electricity, gas, and other fuels continued to exhibit negative annual rate at 1.2%. Annually, the country’s food index alone accelerated 2.4% in May from 1.7% in April. A double-digit annual growth of 12.7% was recorded in the vegetables index. Indices of other cereals, flour, cereal preparation, bread, pasta and other bakery products moved up at 1.4 %; meat, 2.3%; fish, 2.9%; milk, cheese, and egg, 1.5%; oils and fats, 2.3%; and fruits, 4%. Slower annual hike was seen in corn at 2.5% while annual declines were observed in the indices of rice at -0.8% and food products not elsewhere classified, -1.2%. Kick start your day, June 9: How much did Duterte spend for his campaign?